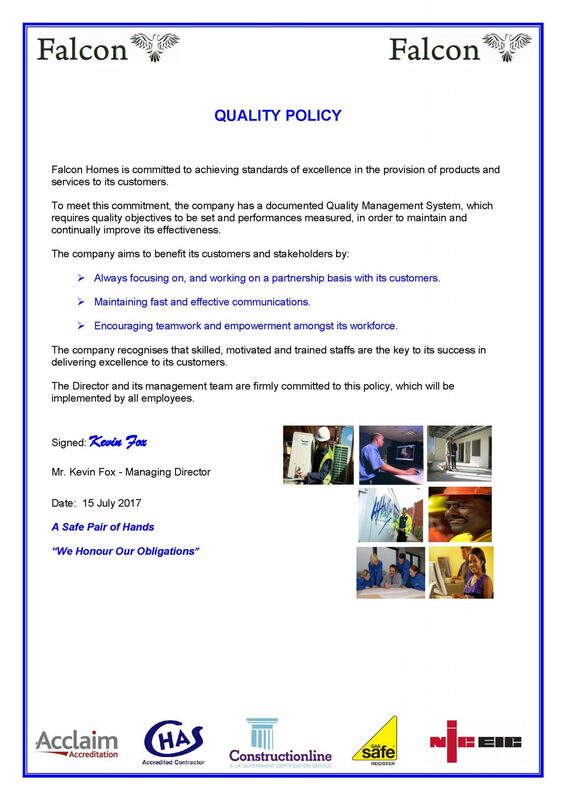 Falcon Homes Quality Policy Statement. requires quality objectives to be set and performances measured, in order to maintain and continually improve its effectiveness. delivering excellence to its customers.